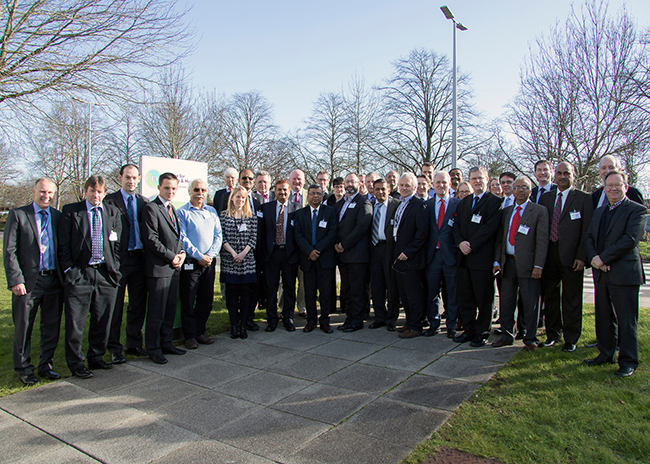 In February 2016, the UK invited a delegation of senior water managers and decision makers to take part in a high level exchange initiative to share knowledge on water security and the Ganga clean-up. A progressive and informative agenda was developed, bringing together UK key policymakers, regulators, researchers and water industry specialists to engage with Indian counterparts. The initiative was developed by the UK Water Partnership with funding from a number of UK organisations and aimed to promote direct engagement between UK and Indian water planners and implementers, so as to exchange knowledge on governance and regulation, science and innovation, and UK water sector capability. The initiative was announced in the Joint Statement between India and the UK following Prime Minister Modi and Prime Minister Cameron’s meeting in London in November 2015. Prime Minister Modi has made the clean–up of India’s rivers a priority for action. The showpiece is the clean-up of the River Ganga and the National Mission for Clean Ganga (NMCG). Responsibility for the river’s management lies with the Ministry of Water Resources, River Development and Ganga Rejuvenation and the Honourable Minister Uma Bharati. The most recent version of Ganga River Basin Management Plan (2015) sets out an action plan for short-term (three years), medium-term (five years) and long-term (ten years +) to clean the river. Water management is an area of UK commercial and policy expertise and the River Thames experience is widely cited in India as a model for successful river clean up. A UK mission to India in March 2015 established the need for increased governance and regulation, ongoing science and innovation links and significant UK-India engagement opportunities in the water sector. The UK has many skills in these areas, with parallel administrative and legal systems. Its water planning and protection capability has resulted in significant improvements in water quality and water security. Strengthening India-UK links in this area will bring significant benefits to India and opportunities for partnership with the UK water sector. 1. A national perspectives day exploring UK and EU water strategies, including a focus on the clean- up of the River Thames and other UK rivers. The day included contributions from the Department for Environment, Food & Rural Affairs, the Scottish Government, Natural Environment Research Council, Chatham House and the UK Water Partnership. 2. A core workshop held over two days on strategic water planning, governance and regulatory best practice. Technical, social and legal issues were be explored. UK regulatory experts discussed the UK regulatory approaches to water strategy, permitting, enforcement and stakeholder communication. The workshop included contributions from the Environment Agency, the Scottish Environment Protection Agency, Water Industry Commission for Scotland, leading water law firms, researchers and consultants. 3. A one-day Innovation Forum focusing on what science innovation and research can contribute to sustainable water management in India. The forum brought together UK water scientists and practitioners, as well as commercial innovation companies/organisations with interests in India. 4. A final wrap-up day and forward look allowed Indian and UK experts to work together to consider options for improving water security and future collaboration.